Legendary: The most feared and revered conductor of the 20th century, Arturo Toscanini, called Lotte Lehmann “the greatest artist in the world.” One of the early 20th century’s really successful composers, Richard Strauss, uttered the words that are now engraved on her tombstone: Sie hat gesungen, dass es Sterne rührte—her singing moved the stars. Giacomo Puccini, the opera composer of her time, preferred her “soavissima” Suor Angelica to all others. Unknown: Nowadays most people have no idea who Lotte Lehmann was. 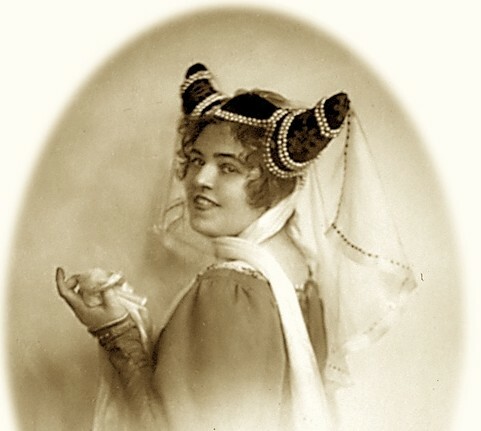 This presentation examines the legacy of Lotte Lehmann, who, during her opera career’s zenith from the 1920s to the 1940s, was considered the most significant singing actress to be heard on stage or on recordings. Her Lieder career overlapped her opera life and continued until 1951. Finally, Lehmann taught, with more claim to success on that account than any other celebrated singer. The section called “Third Career” covers Lehmann the teacher; this one is devoted to her singing, both opera and Lieder, with recorded examples. 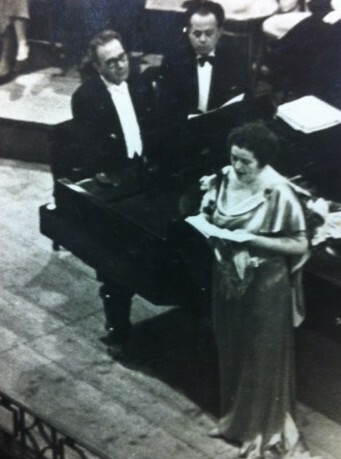 Fortunately for those interested in Lehmann’s singing art, she made many recordings. Although some of the recording techniques available at the time were primitive, her ability to project what she was singing—expressively and emotionally, even in a recording studio—can make a listener feel the music almost viscerally. Sometimes we do need to understand the words or situation to revel in her fervor, her complete identification with the moment or the character’s feeling. Lehmann’s emotional voice in this 1935 recording can sound almost silly if we don’t know that Sieglinde has been separated from Siegmund and is desperate to warn him in this scene from Wagner’s Die Walküre. 244 Horch, O Horch! Das Is Hundings Horn! Listen, Oh listen! That’s Hunding’s horn. His gangs are coming fully armed. No sword will serve when their dogs attack. Throw it away, Siegmund. Siegmund, where are you? Ah, there—I see you— Horrible sight! The dogs are gnashing their teeth at your flesh; they don’t respect your noble features; they fasten their firm teeth on your leg, you fall, your sword shatters in pieces. The tree topples, the trunk breaks. Brother, my brother, Siegmund—Ah! The Legendary Lehmann: Elsa in Lohengrin You can find the list of Lotte Lehmann’s “Opera Roles” on this site, under Documentation. It is impressive for both the number and the variety. She sang a lot of small roles at the beginning of her career as well as many of the greatest opera roles that a lyric soprano can essay. 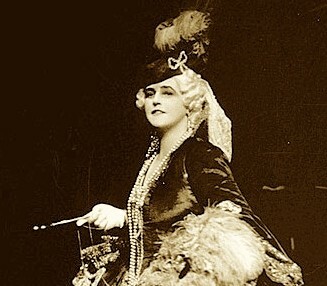 In spite of learning and performing more than 90 roles, the fabled aspect of Lehmann’s opera career is no doubt based on her performances of a few that she made her own and that became identified with her: Beethoven’s Fidelio; her Marschallin in Der Rosenkavalier of Richard Strauss; and the Wagner roles of Elsa in Lohengrin, Elisabeth in Tannhäuser, and above all, Sieglinde in Die Walküre. Though Lehmann herself did call Elsa something of a “silly goose”* you wouldn’t know it from the bold commitment we hear when she sings of her complete faith that a knight in shining armor will appear to be her champion. *because Elsa asks Lohengrin the question that she’s been forbidden to ask. Lehmann wrote in her book My Many Lives that “…Elsa is represented as so lost in her dream that she seems to lose any personality which she might have, in a sickly sweetness.” Obviously, this is not how Lehmann interpreted the role. In Hamburg on the night of 29 November 1912, after only two years with the company. 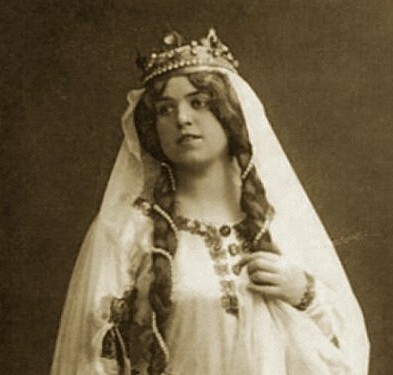 Lehmann made her debut as Elsa, a demanding leading role that demonstrated her acting and emotive singing ability. 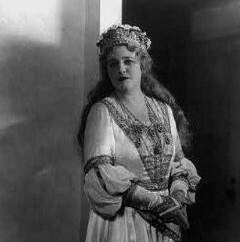 Her strong success as Elsa established her position at the Hamburg Opera so that she was regularly offered major roles from then on. 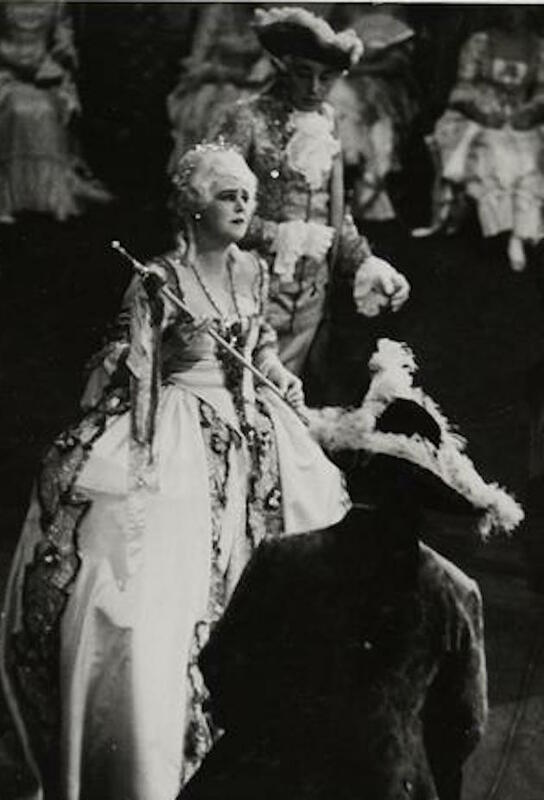 In this rare early photo of Lehmann as Elsa one can observe the devotion and concentration that one also hears in every Lohengrin recording she made. joyfully I greet you, beloved place! to me now you appear exalted & sublime. You dear hall, I greet thee! 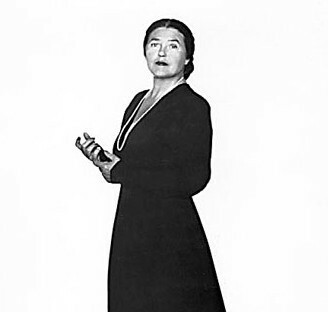 …as for Lotte Lehmann’s work as the Marschallin, it was even then  surrounded by the brilliance which has made her portrayal of that part one of the outstanding achievements on the contemporary operatic stage. Here, indeed, was that rare phenomenon of an artist’s personality wholly merged with a poetic figure, and of a transitory theatrical event being turned into an unforgettable experience. und kriegt das hübsche junge Ding und einen Pinkel Geld dazu. Und bildet sich noch ein, dass er es ist, der sich was vergibt. ‘s ist doch der Lauf der Welt. such’ dir den Schnee vom vergangenen Jahr! die alte Frau sein werd’. mit gar so klarem Sinn! Warum versteckt er’s nicht vor mir? Das alles ist geheim, so viel geheim. Und man ist dazu da, dass man’s ertragt. As if it had to be. But why do I upset myself? Who came fresh from the convent to be forced into holy matrimony. seek the snows of yesteryear! The old woman, the Fieldmarshal’s wife! How can it come to pass? How does the dear Lord do it? While I always remain the same. With such clear sense? Why doesn’t He hide it from me? And one is here to endure it. There lies the whole difference. A quarter hour long!Ah! but alas! Und küssen wollt’ ich sie. it would be a futile attempt. And did she not scream? but not until long afterward. zum Kusse die Häuptchen zart. wüsste, ach! selber nicht was. wer mag verstehn so gar leise Weis’? lächelnd in Schlaf und Traum. to kiss their tender heads. wonders… but alas! she doesn’t herself know. who can understand this muffled tale? they whisper of a bridegroom & of next year. she sinks smiling into sleep and dream. Do you know the house? On columns rests its roof. dann bist du erst viel holde. dein Glück ist’s, nicht dein Wille. bist wert an allen Orten. you are made of sheer gold. then you are only more beautiful. is your good luck, not your active intent. are considered worthy in every place. rejoices in his mind to see you. She enjoyed great fame for her many-faceted portrayal of Eva in Wagner’s Die Meistersinger. Few singers in recorded history have ever portrayed a more impetuous Eva, as she greets Sachs, acknowledging their past love and her anticipated future. 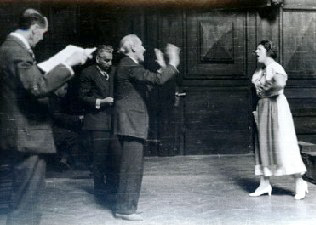 Even this 1920 recording (040) (microphones hadn’t been invented yet) captures much of Lehmann’s spontaneity. This fun aria is “O Sachs mein Freund” (Oh Sachs My Friend.) 040 O Sachs! Mein Freund! Hermann Götz wrote Der Widerspenstigen Zähmung (inspired by Taming of the Shrew). 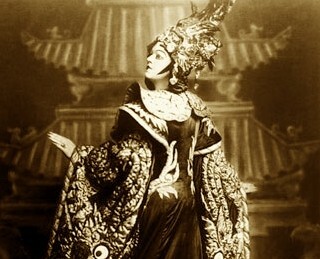 Lehmann sang the opera a few times in Vienna and recorded the tuneful aria of Katharina in 1919 (028). She sang it in many concerts throughout the years, with great success. 028 Es schweige die Klage Though she didn’t encourage her students to sing “mixed” concert recitals, she often did so herself. Perhaps it was in accord with the wishes of her sponsors. There are many such “contemporary” operas that Lehmann sang in Hamburg and Vienna that just haven’t endured. 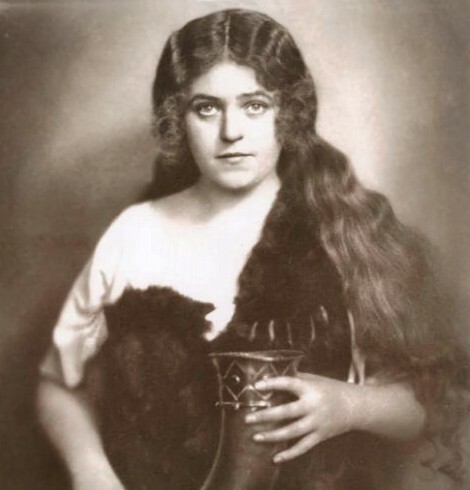 Eugen d’Albert’s Die toten Augen was such a success for Lehmann that she sang it during her last weeks as a member of the Hamburg Opera company. Blind Myrtocle is given sight by the touch of Jesus. According to the libretto, the first thing she’s supposed to ask for is a mirror. Lehmann thought that detracted from Myrtocle’s character and wouldn’t sing those words. 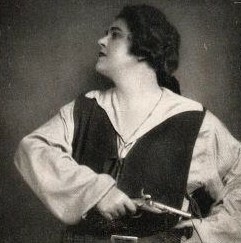 The composer was so taken by Lehmann’s suggestion that he actually allowed her to change his opera. 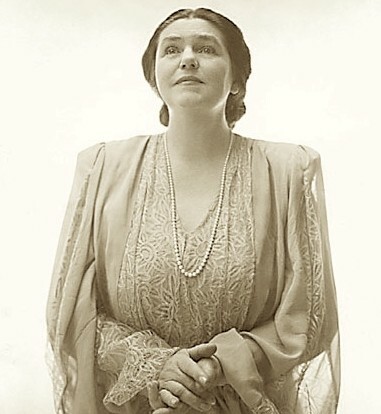 Here is the 1933 recording that she made of the opera’s most enduring aria (206). 206 Psyche wandelt Psyche wanders through columned halls. Sweet sounds and songs reverberate, Rose fragrance from golden chalices, Rich treasures glow and shine, Poor little Psyche! Night times she feels her husband’s kisses So pure that she must almost faint, She hears his voice in sweet delight, But never can she view her beloved. Poor little Psyche! And furtively with a small lamp, She steals to him with soft steps, And sees splendor for blessed hours, Amor, the God, and then He vanishes. Poor little Psyche. the greatest pranks, cunning and bravado. if it serves to punish men without pity. that one cannot complain enough about them. who wants to seduce us. Ha ha ha ha! He should pay the penalty. But when he comes, how will I have to behave? Why do you set a trap for a virtuous spouse? The outrage will never subside. No, never, my anger must be your punishment. However, a woman’s heart is weak. You complain so pathetically about your pain. You sigh, my heart becomes weak. shamefully blushing, to you, my knight. He will believe me, performing I can do very well. only for fun may one allow it herself. and to forgive is well a joke. So for pleasure may one lie. Real love and faithfulness stay in the heart. Therefore full of trust, dare I to do the deed. Happy women, yes, who know their own advice. 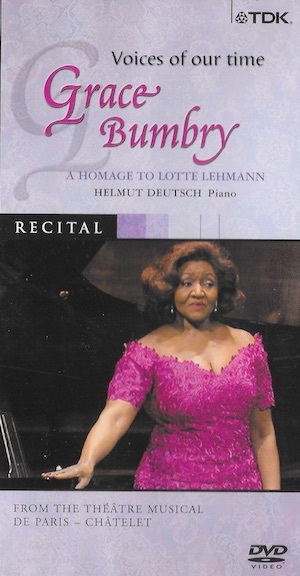 Her students (now mostly retired) have many Lehmann stories to tell and some, like Marilyn Horne and Grace Bumbry, have even given recitals honoring Lehmann. Though today her name is generally unnoticed and unrecognized, for the vitality, commitment, and sheer beauty she brought to her art, Lotte Lehmann deserves all the full legendary status that her talent and hard work engendered. 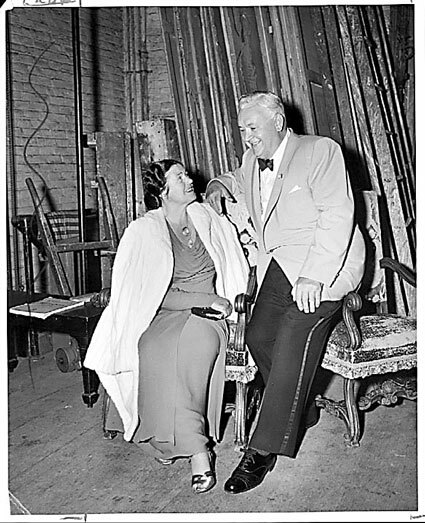 In this photo, taken in a rehearsal for a Salzburg Festival performance of Fidelio, you can almost feel the excitement generated by two legendary musicians of their time: Toscanini and Lehmann. Just upstage from Maestro stands the famous stage director, Lothar Wallerstein. Next to Maestro is Erich Leinsdorf.